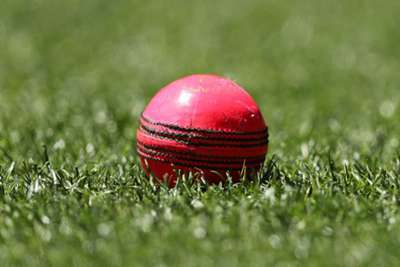 The ECB has dismissed allegations, made in a television documentary, that a number of England players were involved in spot-fixing during international matches. The Al Jazeera network claims to have uncovered evidence of corruption from players of several nations - including a "small group" of England stars - in Tests, ODIs and Twenty20 internationals played in 2011 and 2012. However, no charges have been laid by the ICC in relation to the matches and the ECB insists its own analysis of the information provided by Al Jazeera has "cast no doubt on the integrity or behaviour of any England player, current or former". A statement from English cricket's governing body read: "The ECB takes its responsibilities on anti-corruption and preserving the integrity of cricket very seriously. "Whilst the limited information we have been given by Al Jazeera is poorly prepared and lacks clarity and corroboration it has been properly assessed. Analysis of this by the ECB Integrity Team has cast no doubt on the integrity or behaviour of any England player, current or former. "The materials we have been given have been referred to the ICC's Anti-Corruption Unit and we will continue to work with them, as is the correct procedure for protecting the game." A previous Al Jazeera documentary also made allegations of spot-fixing by international players and the ICC insists it treats all claims with the utmost seriousness. "The ICC is committed to working to uphold integrity in cricket," read a statement from Alex Marshall, general manager of the ICC Anti-Corruption Unit. "As you would expect we will again take the contents of the programme and any allegations it may make seriously and will investigate fully. However, I must refute the assertion that cricket does not take the issue of corruption seriously; we have more resources than ever before working to rid our sport of corruption. "The investigation into these allegations has already commenced and will run alongside a number of other live unrelated investigations. When considering the claims, we will work with professional independent betting analysts. "As with the first programme we have, and will continue to ask for the cooperation of the broadcaster. We have made repeated efforts to engage with the broadcaster as it can play such a crucial part in the full and thorough investigation it has called for. "We do welcome the commitment from the broadcaster to share the files with Interpol and, I hope, other law enforcement agencies who can act upon the information and support us in ridding the sport of these criminals."